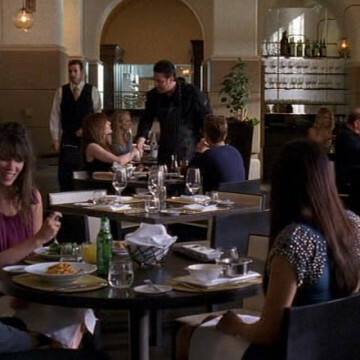 Scott Conant, who is a celebrity chef and the author of 2013’s The Scarpetta Cookbook, has a cameo in a single episode of Entourage. Catch him near the twelve-minute mark of S08E06, The Big Bang, greeting Melinda Clarke as she dines with Eric Murphy. Scott has appeared as a judge on several episodes of Food Network’s Chopped and Beat Bobby Flay.